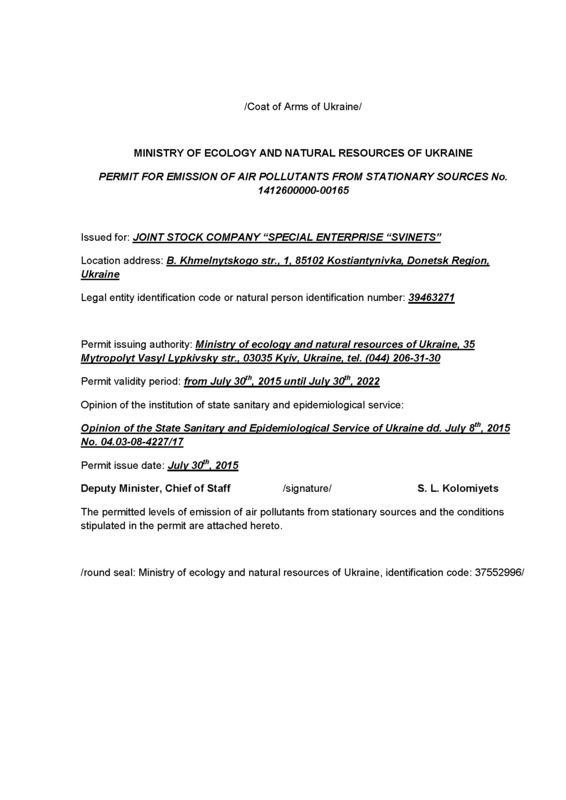 We strictly comply with the rules and regulations of the Ukrainian environmental protection legislation. 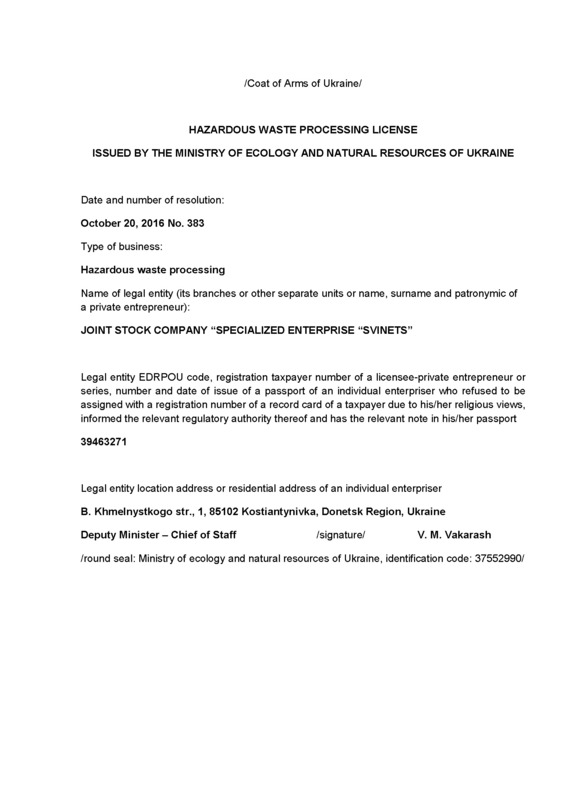 We have a pollutant emission permit and a hazardous waste processing license issued by the Ministry of ecology and natural resources of Ukraine. The main process and ventilation gases undergo preliminary filter treatment before emission. The pollutant emissions are controlled by our own attested sanitary and ecological laboratory. 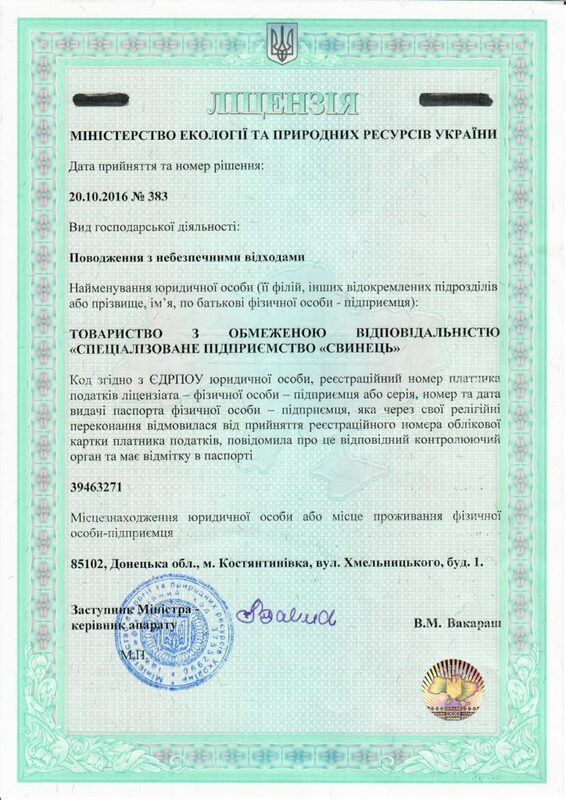 Our company is fitted with a dosimeter-radiometer of beta- and gamma-irradiation to secure radiation safety of the environment and to control radioactivity of the incoming feedstock. REACH is a European Union directive related to the registration, evaluation, authorization and restriction of use of chemicals. 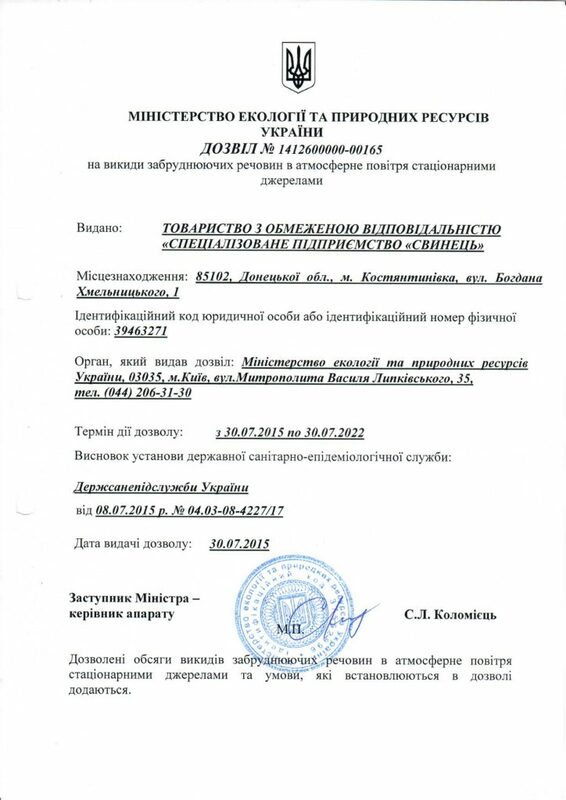 Exporting the major part of our products to the European market, we fulfill our REACH regulations compliance obligations. Our interests are represented by Vellonton LLP in the International Lead Association and in the European Chemical Agency.